As if mother nature hadn’t already gifted Australia with a cornucopia of murderous flora and fauna, somebody had to go and make grocery store fruit deadly? After months of panic, Australian police have finally caught the woman who may be responsible for hiding sewing needles in supermarket strawberries. The 50-year-old woman was arrested in Queensland, though there were 100 cases of needled-infused strawberries reported across the country. At least one man was hospitalized after eating a strawberry that contained a sewing needle. Public panic got so bad that at one point, Australian retailer Woolworth’s quit selling sewing needles full stop. Other fruits, including bananas and mangos were also reported to contain needles, though Australian authorities attributed some of those incidents to copycats. At least once, the culprit was a child who admitted to playing a prank. Strawberries are a big business in Australia. The country exports millions of dollars of the fruit to countries like Hong Kong, Malaysia, Singapore, Thailand and the United Arab Emirates, according to CNN. The needles definitely hurt strawberry profits this year, with countries like New Zealand halting imports until the situation was resolved. 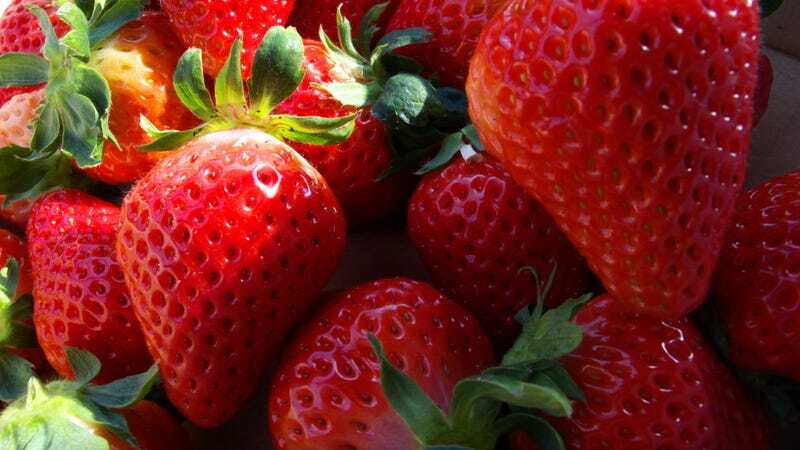 Amid worries that strawberry farmers would suffer, authorities encouraged consumers to simply cut strawberries in half before eating them and even launched the #SmashAStrawb campaign on social media to promote safe enjoyment of the fruit. In response to the crimes, Australian lawmakers have also increased the maximum penalty for tampering with food from 10 to 15 years in prison.